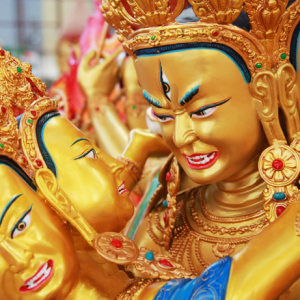 The Kalachakra Tantra teaches that due to our connection to Shambhala, this world will one day experience a Golden Age. This result will only occur however, if the people of this world create the causes for it to arise. For this reason, Khentrul Rinpoché has dedicated his life to gathering the conditions to usher in a time of lasting peace and harmony. 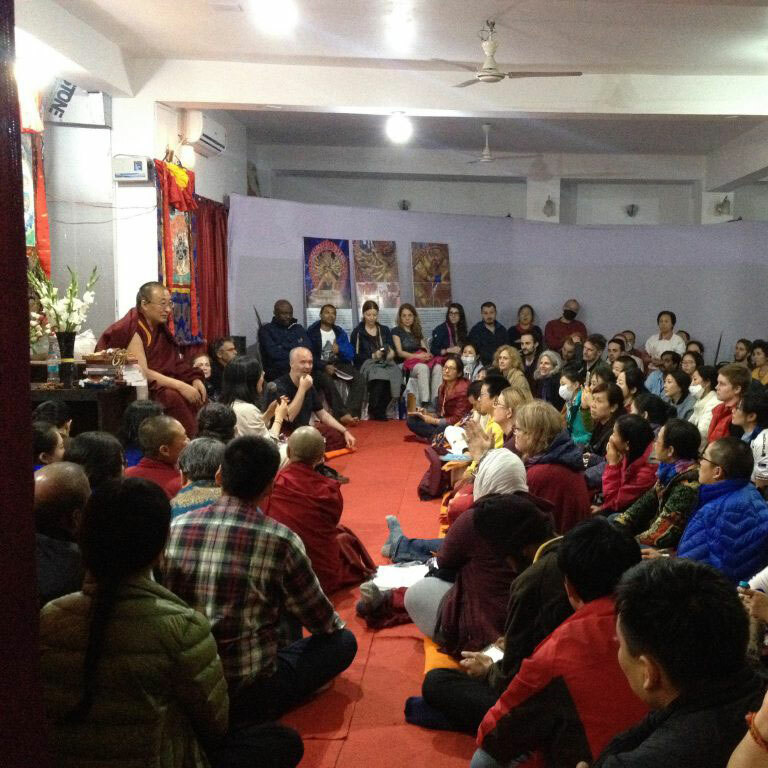 Rinpoché leads a Question and Answer session during the 2017 Kalachakra Empowerments in Bodhgaya, India. The Kalachakra Tantra is known as the King of Tantra due to its profound wisdom regarding the nature of reality and its vast quantity of skilful methods for actualising that wisdom in one’s own experience. When compared with other Tantras, the Kalachakra system can appear extremely complex and overwhelming to all but the most astute of practitioners. 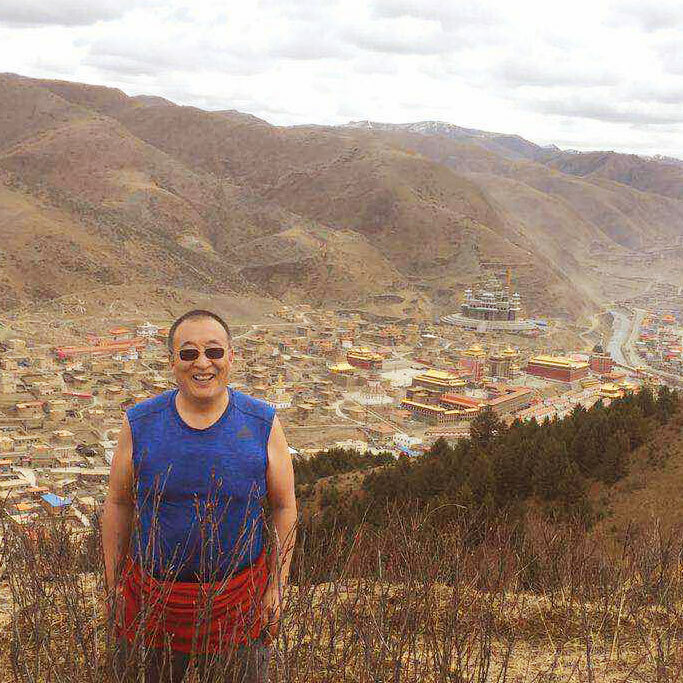 For this reason, Khentrul Rinpoché invests a great deal of his time and energy towards communicating the essential meaning behind the teachings so that students at any level of development, can approach and draw benefit from this system. To this end, Rinpoché travels around the world introducing students to five main subjects which can be used to understand the various aspects of Kalachakra practice: (1) understanding the relationship between Shambhala and Kalachakra, (2) how to remove bias through a Rimé Philosophy, (3) how to identify the definitive meaning through the Zhentong View, (4) how to practice the Common and Uncommon Preliminaries of Kalachakra and (5) how to practice the Six Vajra Yogas. Rinpoché explains how to use one of the practice books. 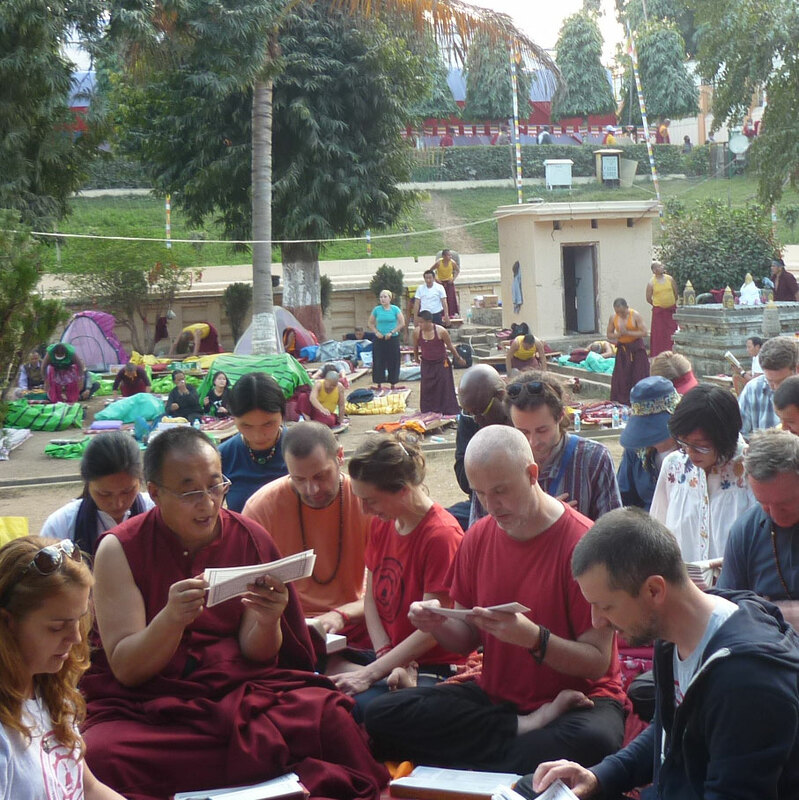 To support an ever expanding community of Kalachakra practitioners, Rinpoché recognises the need to have quality materials for both study and practice. By relying on his various books, students can build on the teachings they receive and thereby prepare themselves for future practices. While Rinpoché’s oral teachings emphasise the essence of Kalachakra, Rinpoché’s books present the path in great detail, providing a clear structure for working through the vast material in a gradual manner. In addition to his original works, Rinpoché also collaborates with translators in order to communicate to the world, the ancient wisdom of the Kalachakra Lineage Masters. 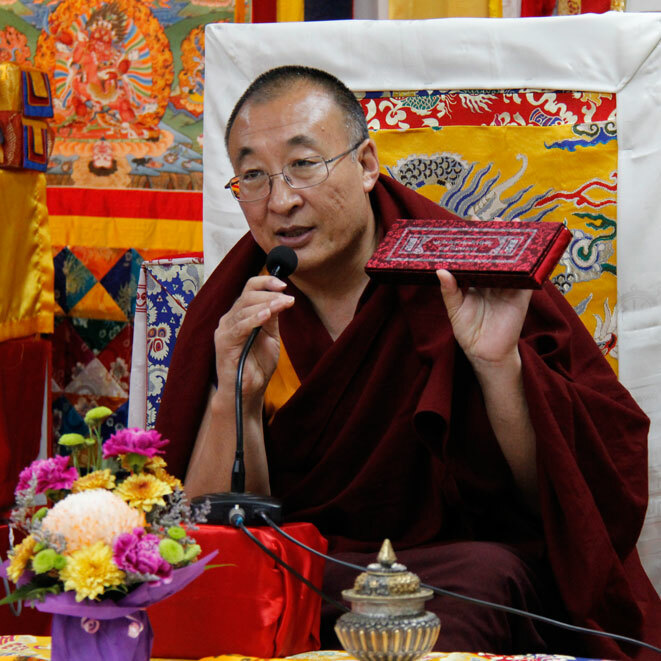 His aspiration is to make the Kalachakra teachings available in every major language, reducing the barriers to study and practice for international students. Study the teachings of the lineage masters. Rinpoché practicing with international students at the base of the Mahabodhi Stupa. The Golden Age will not occur as a result of a single event but as a cumulative result of the combined efforts of the people on this planet. We, as individuals, first need to learn to cultivate peace and harmony within our own mind in order for it to arise in our world. 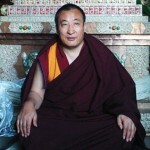 Understanding this, Rinpoché actively encourages his students to build spiritual communities which promote the cultivation of qualities such as love, compassion and wisdom. Through their shared practice of Kalachakra, these communities will form a global network of practitioners, dedicated to the actualisation of their enlightened nature. Rinpoché achieves this by working closely with his students, generating abundant opportunities for them to accumulate merit, and for them to strengthen the karmic connection with each other. He does this mainly through encouraging his students to participate in the many varied Dharma related projects he oversees and coordinates. These projects range from simple administrative tasks, to more complex ventures such as building ornate holy objects. It also includes organising international tours and events where communities can come together and bond as a single vajra family. Rinpoché on the site of a future retreat centre in Dzamthang. The last component for actualising the Golden Age is to create the physical infrastructure required to support long-term retreat in conditions conducive to meditation. Not only is it necessary to have locations where students can dedicate themselves to the teachings, it is also important to create connections with yogic practitioners who can guide students through the various experiences that arise during advanced retreat. At this time, the most extraordinary practitioners of Kalachakra are currently meditating in Tibet. Unfortunately, conditions in Tibet make it difficult for international students to meet and learn from these yogis. For this reason, Rinpoché is working hard to construct an International Kalachakra Retreat Centre in the hills above Dzamthang Tsangwa Monastery. His vision is to create a space where generations of students from all over the world can come to receive rare transmissions and to practice within the incredible blessings of the region. Eventually, Rinpoché hopes these same students will then convey those blessings to the rest of the world.